William L. Hinshaw2,3 [Bill Hinshaw3]. 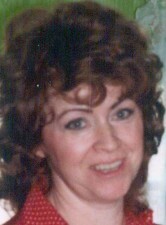 Rosalie Hinshaw, 76, Marian, died 01-21-2013. Arrangements: Wallace Family Funeral Home. Obituary of Harold L. Hinshaw. Obituary of S. Jeanne (Auten) Hinshaw.